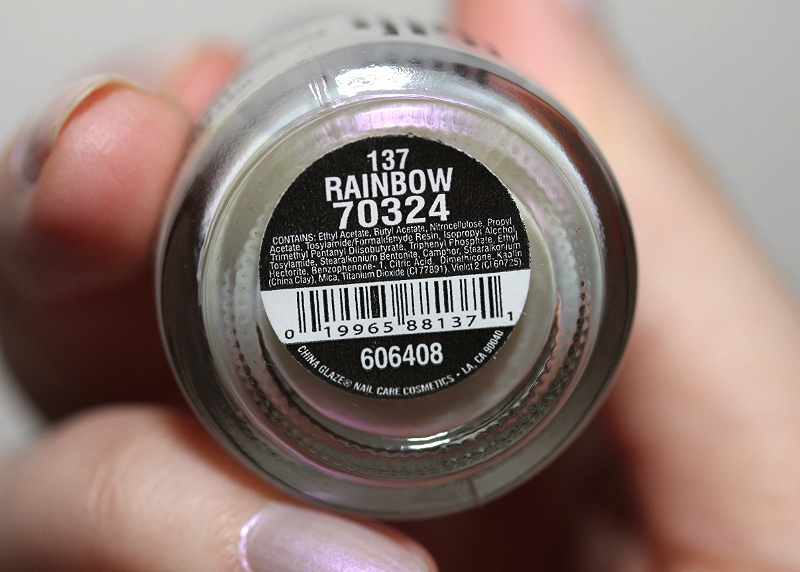 Rainbow by China Glaze is such a magical colour. It looks white in the bottle but I think you can glimpse a bit of the opalescence. Rainbow is a sheer polish with a light pink and sometimes purple sheen. Not exactly a rainbow but pretty none the less. Two coats of polish have been applied. 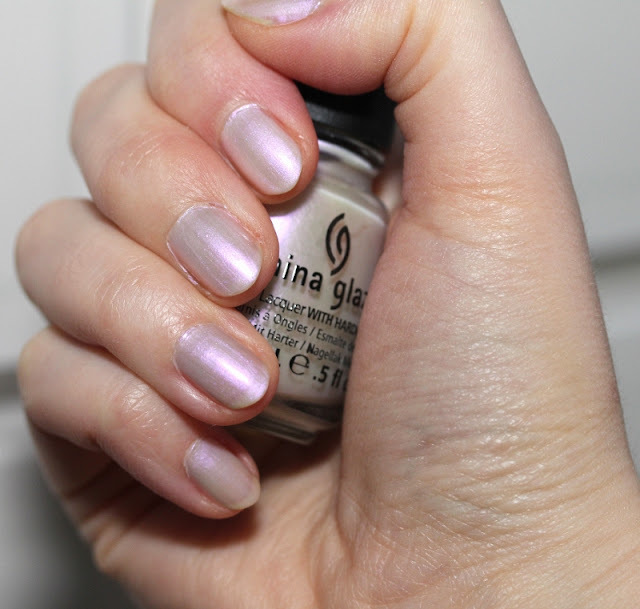 You can still detect the whites of my nails but nothing a third coat couldn't fix, if you prefer full opacity.